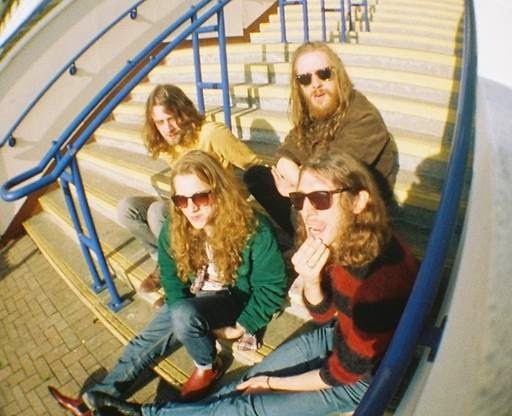 BRIGHTON based quartet Demob Happy have been working extensively on their negligent sounding from their birth in 2008. Since then, the four lads have featured in the likes of NME and DIY Mag, all praising their heavenly hell-raising tunes. Their latest track, 'Succubus' - dropping 17th November - presents wannabe grunge creators with a reality check, shoving real music upon the half-hearted approach to showmanship. Paying homage to a true weighty bass, the sporadic riff bursts help contain the brain-numbing equilibrium, soothing and controlling the direction of the track. The use of almighty chorus' or dithering poetic verses are wasted on Demob Happy as their intelligent sound carries itself, proving to be highly addictive - without those rose tinted spectacles. Realism is the most crucial element for the lads, with all essence of glamour ripped from the scenes as backstreet chugging takes the crowning glory. Striking a chord for garage lovers, Succubus offers an alternative for those who disapprove of the current 90's revival. Mastered by Pink Floyd's engineer, Andy Jackson, the track presents itself in a wholesome formation, true to that of British identity. Caressed by a solid foundation of dirty rock'n'roll, there is the darkened reality of obsessive obscurity definitively parading within the Demob Happy ideology. Be sure to pick up your copy of Succubus, available on the band's own label Milk Parlour Records, 17th November.